Recently on the whitehouse.gov website there has been a place for people to sign petitions. One petition asked that the phrase “Under God” be removed from the pledge of allegiance, while the other asked to remove “In God we trust” from coins and currency. Actually, that is exactly what it means. The only way for there to be religious freedom is for the nation to favor no religion or non-religion. The fact that the pledge says “under God” is repulsive to every person who knows that “God” is a completely imaginary being worshiped by delusional adults and foisted upon innocent children. I have friends that I communicate with on a professional discussion forum who are devout Christians. Of course all the other devout Christians started praying, adding them to their prayer groups and offering up special requests to god on Timmy’s behalf. And, of course, the faithful responded with promises to redouble their praying activities. God repiles, “I KNOW Peter, who do you think GAVE him pneumonia?? Now, how many prayers have their been? The stupidity of people who believe that God answers prayers defies imagination. How can any intelligent person believe something that is so obviously ridiculous? 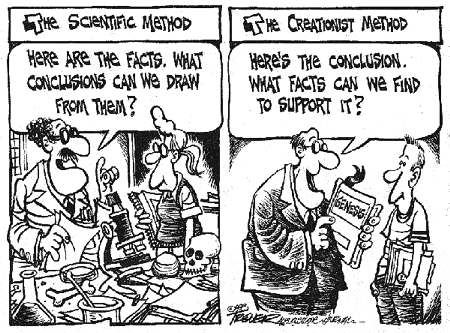 In the scientific method, a scientist starts with facts and uses them to draw conclusions. In the creationist method, a creationist starts with Biblical nonsense and tries to find any facts that happen to match the nonsense by coincidence. 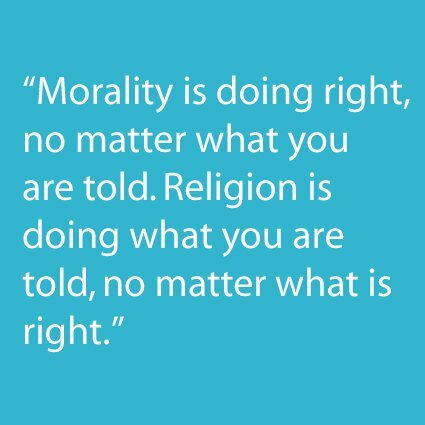 “Morality is doing right no matter what you are told. Religion is doing what you are told no matter what is right.” Thus the religious end up with a Bible that advocates slavery, murder, misogyny, etc. 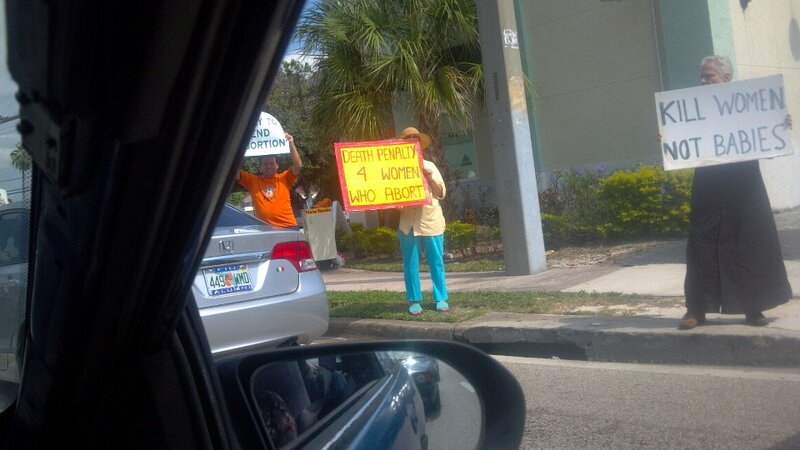 and a group of religious people try to defend that kind of nonsense. Religion is bankrupt. Any thinking person can see that. The site WhyWontGodHealAmputees can help you understand how bankrupt religion is. What if America truly were a Christian nation? We wouldn’t be taking votes on who gets medical care, or who gets to live, or who gets to learn, or whose rights matter more, or whose race or religion can’t be allowed to breathe freely. For Jesus gave healing to all who asked, defended the lives of sinners, taught all who were eager to learn, welcomed all to his circle — even outcasts, lepers and children. He had no regard for his own tradition’s finely tuned boundaries. We wouldn’t be loading great wealth onto the already wealthy, but rather would be asking them to follow the lead of biblical tax collector Zacchaeus and to give away half of what they have. We wouldn’t need as many lawyers, because generosity would trump tax-reduction strategies, parables would trump rules, property would be shared as needed and people would be forgiving — not suing — each other…. You CAN trust science. You CANNOT trust religion. A video with a simple message: You CAN trust science. You CANNOT trust religion. Why can you trust science? Because it has a track record that has produced thousands of solid advancements that are undeniable. Just look around you: electricity, computers, advanced medicines, medical imaging, automobiles, airplanes, space flight, GPS, television, skyscrapers, etc. Science is so obvious, so visible, so ubiquitous that it is impossible to deny. Everywhere you look and everything you touch today bears the effects of science. Why can’t you trust religion? Because it clearly doesn’t work in a vast majority of cases. Religion leads us to things like this and this and this. For more information on the problems with religion please see GodIsImaginary.com.